step away from the Sloth! 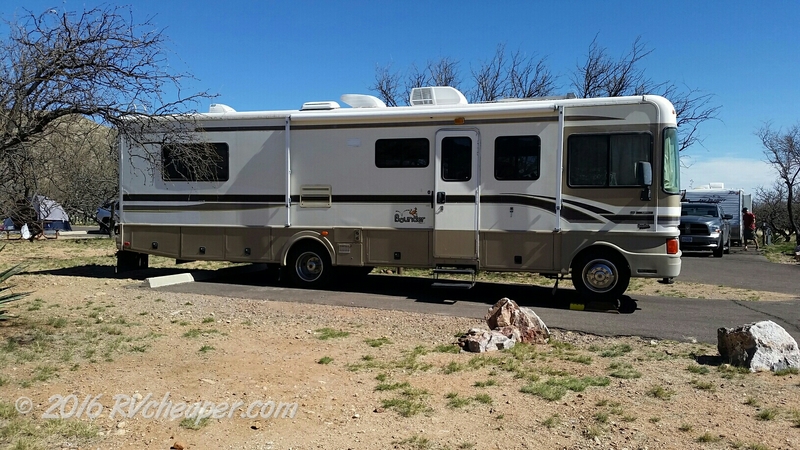 – RV Cheaper! 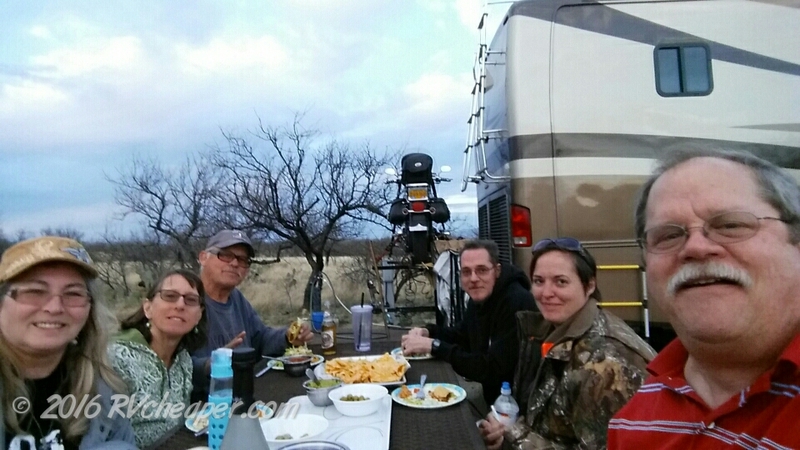 March 10, 2016 March 26, 2016 RV Cheaper! step away from the Sloth! 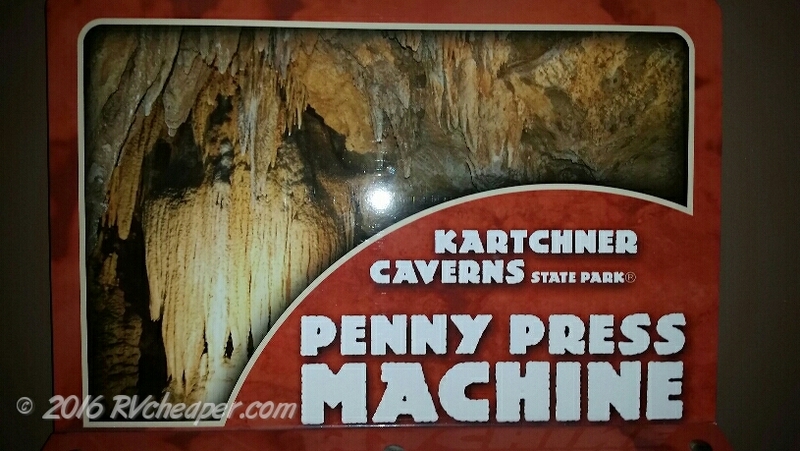 Mike and Michelle (And Drink Plenty of it) finally found their way out of New Mexico at the beginning of March and Kartchner Caverns State Park was one of their first destinations. Since it was so close to all of us, Jeff and Megan met up with us there. 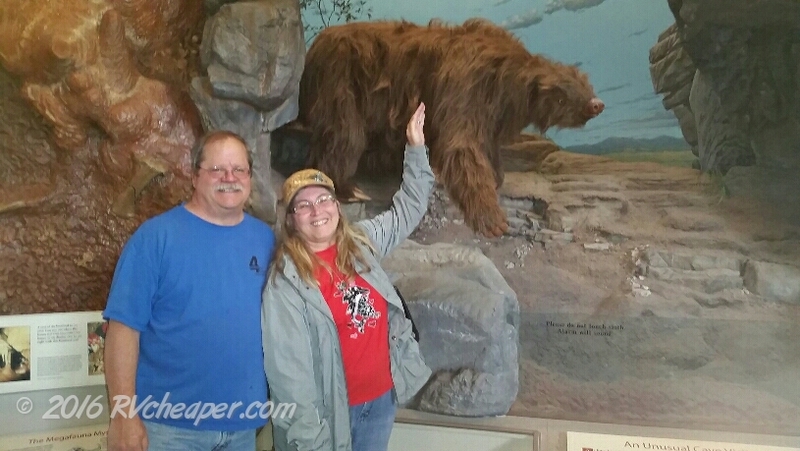 This was the first time Alice & I have seen the caverns, M&M were there last year and saw the Big Room. This is the first time we brothers got together since the celebration of life for our brother Dave back in August and quite overdue. In addition to seeing the Rotunda/Throne room and the museum, we had a great time hanging out at the campground. The formations are incredible, the bacon ribbons have so many colors and Kubla Khan was majestic. Mike says the Big Room is even more impressive, so we plan to go back again. You can reserve your Big Room, Rotunda/Throne tour or Reserve a Campsite online 24×7. You can’t take pictures during the tour so I don’t have any of those to share. 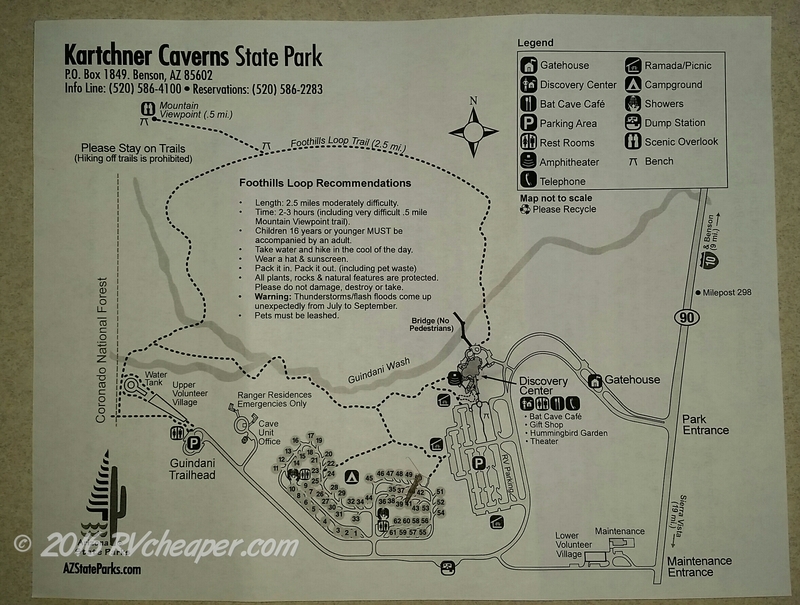 There’s a great trail to hike that runs by the Campground, to the Discovery Center and around the hills that contain the cave. While posing for this photo, Alice had her arm just inside the zone monitored by sensors (but no where near the Sloth). We couldn’t hear the alarm going off and finally one of the rangers told Alice to “step away from the Sloth!” So Alice got teased about that the rest of the weekend. 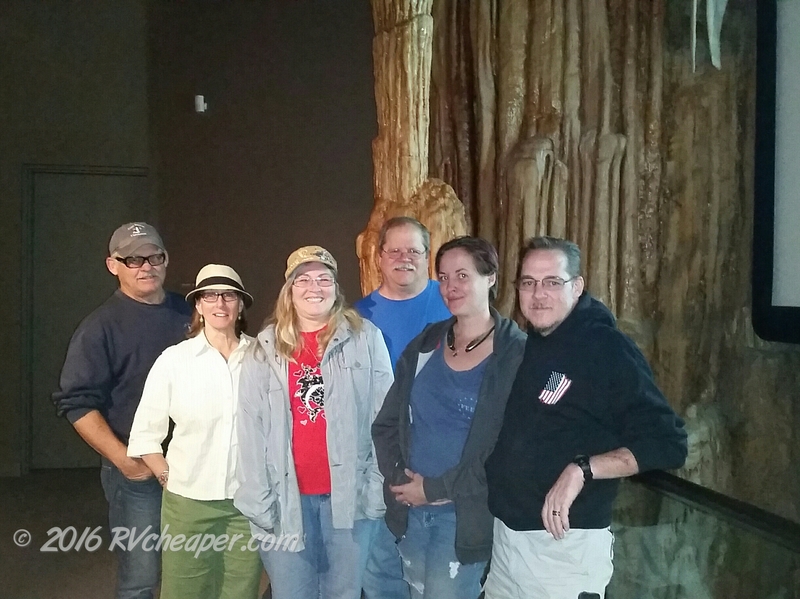 All of us posing in front of a replica of Kubla Khan in the museum. This replica doesn’t even come close to the detail of the real one. 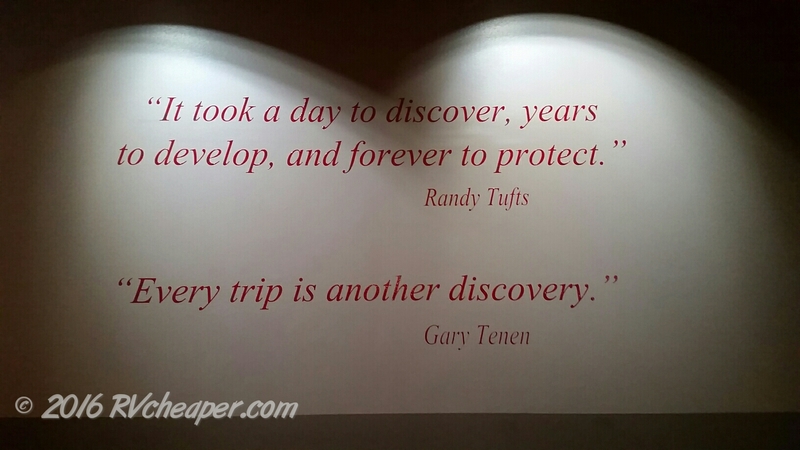 quotes from Randy Tufts and Gary Tenen, the cavers who discovered and worked so hard to protect the caverns until it became a protected State Park. 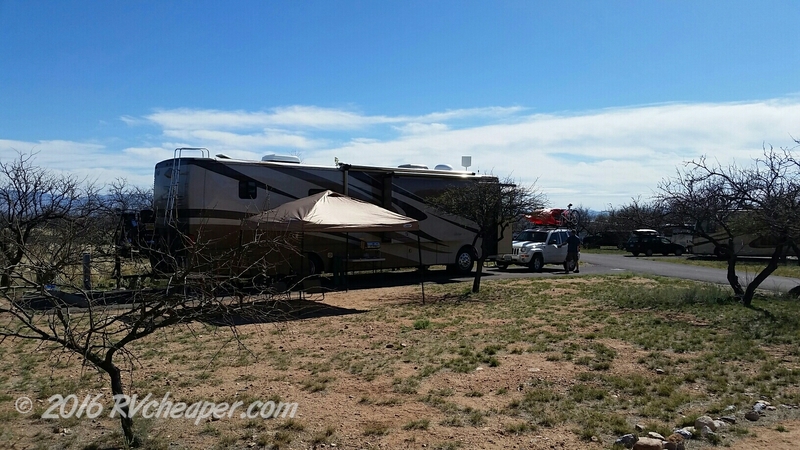 Mike & Michelle’s campsite, space #46 is quite level and right next to the foothills loop trail. We had a nice hike around the foothills loop trail. 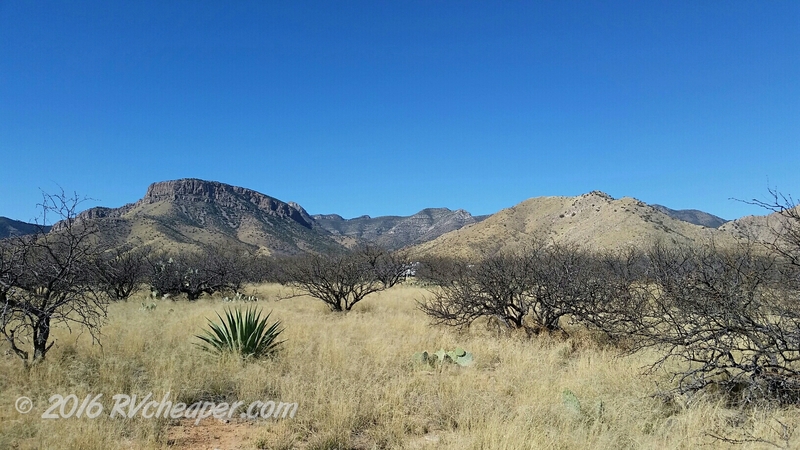 Hiking around the foothills loop trail, looking NW toward the Whetstone mountains in the distance and the hill above the caves on the right. 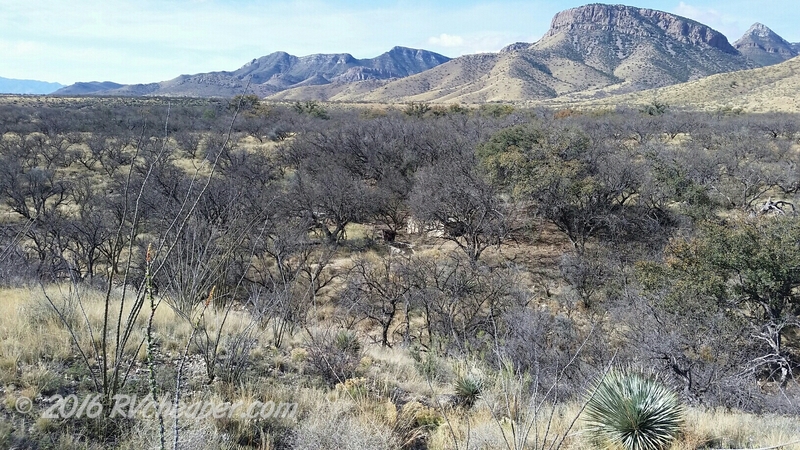 Hiking around the foothills loop trail, looking SE toward AZ90. 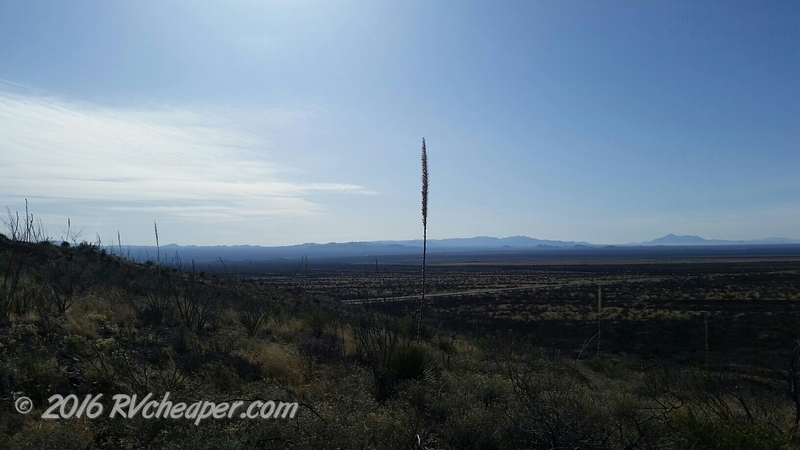 Hiking around the foothills loop trail. 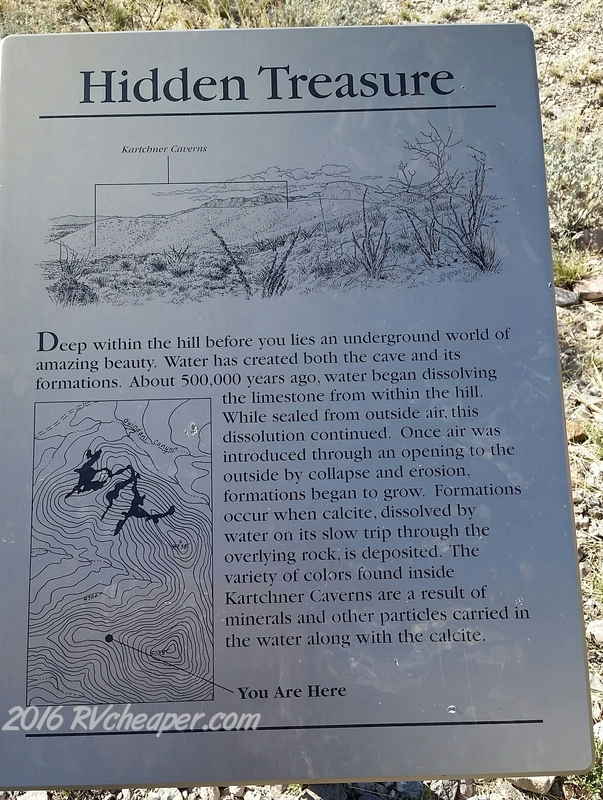 This plaque is along the trail where I took the next photo. Hiking around the foothills loop trail looking South at the Discovery Center. The hill over the caverns to the right. 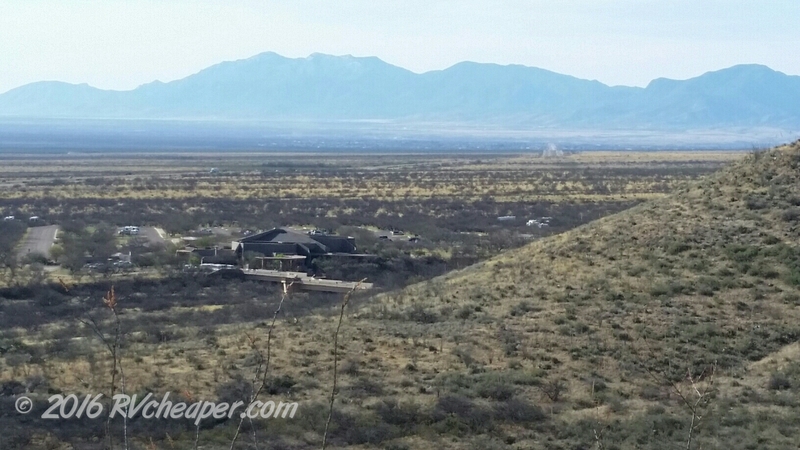 Hiking around the foothills loop trail, zoomed into the Discovery Center. 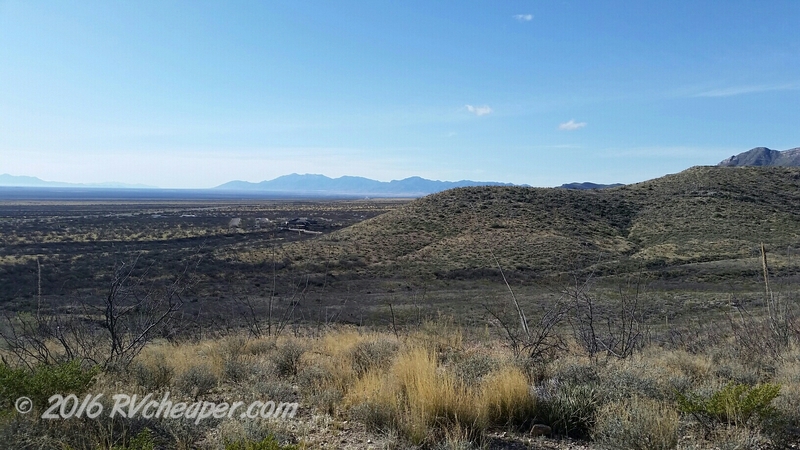 Hiking around the foothills loop trail. An old building along the Guindani Wash.
And no trip would be complete without a pinched penny added to my collection! We really enjoyed our time at the caves, state park, and hiking the trails. We also did the Rotunda/Throne room tour so it was interesting to hear the Big Room is even more impressive. We will have to plan a return trip!